With the recent heat wave in the UK it can be very easy to give photography a miss (empty blue skies are boring!). Last weekend, however, I accepted the challenge and headed out anyway. Why? Because shooting into the sun wouldn't have produced a compelling image and there would be very little colour in the sky. 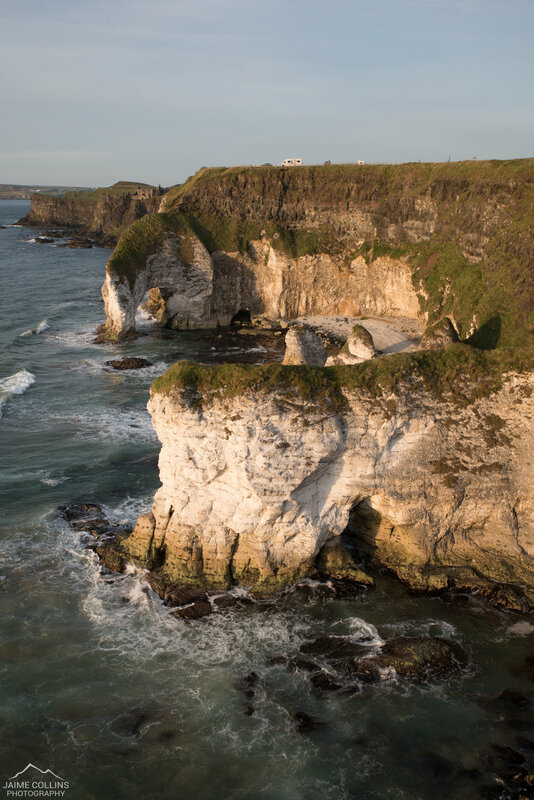 So I headed to White Rocks at the north Antrim Coast. Here, the sea and limestone cliffs would provide strong compositional elements that would compensate for the lack of drama in the sky. With the filters in place and composition dialed in, all I had to do was sit back and wait for the soft evening light. Together all of these decisions allowed me to capture a captivating scene, one which I look forward to hanging on a wall some day!